Who doesn’t like MAC's luxe matte lipstick Ruby Woo? Well if you’re a fan you are going to love the Fall palette inspired by this stunning shade. 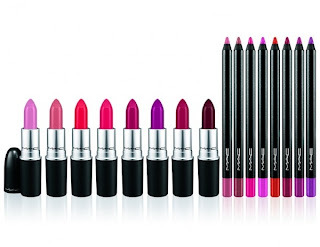 For those who loves lipstick MAC prepared for this fall a new collection called Retro Matte Collection, which includes eight matte lipsticks and eight lip pencils in a variety of shades for all occasions. With its one-of-a-kind Retro Matte texture, Ruby Woo Lipstick has become a smash hit both on and off the runway. Inspired by its stunning popularity, M·A·C has revamped this lipstick legend with invigorating, bold shades in its Retro Matte finish. 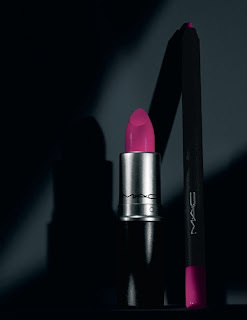 Eye-catching new colours like Dangerous and All Fired Up create a look that’s feminine yet fierce. 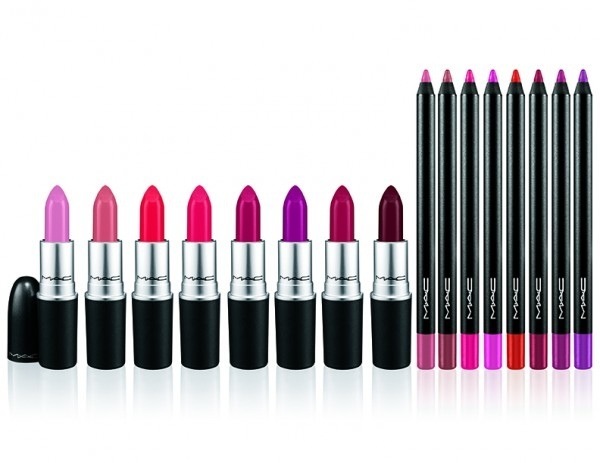 M·A·C also introduces its Pro Longwear Lip Pencils in a vibrant, new colour palette, giving this long-lasting and transfer-proof lip pencil an exhilarating makeover. I cannot stress how excited I am by the launch of these. I can't wait to see them in the flesh... Now... how to choose which shades to go for. Decisions, decisions, whatever is a girl to do!